JPS’s Enochs Family Resource Center is part of the district’s State and Federal Programs Office. It provides services to all families within the district and is located in West Jackson at 101 Near Street. The center oversees the operation of school-based centers at 59 JPS schools. The Resource Center is open M-F from 8:00 am-5:00 pm. 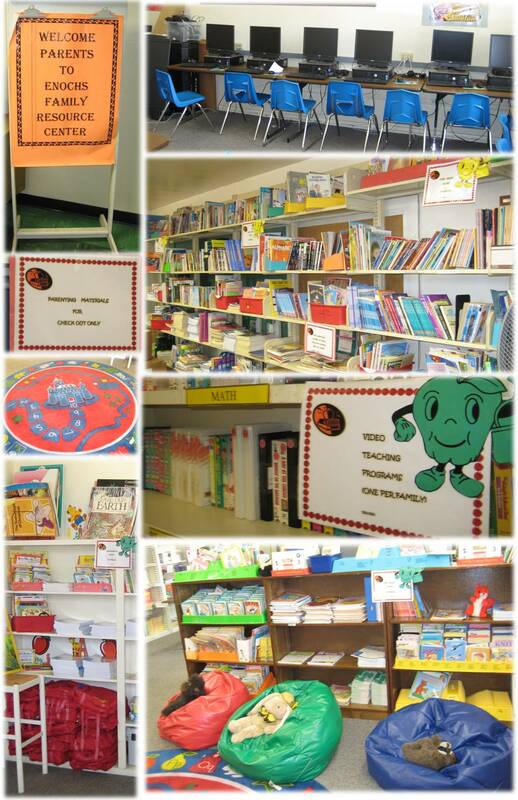 Parents can come to the center and check out books, videos, and other educational materials for their children. They can also access the internet. The Resource Center provides parents with educational resource material, equipment and information to become more effective in working with their children on specific skills at home. To enable parents to enhance the learning experience of their children. To provide resources designed to strengthen the social, emotional, and academic needs of the family. To improve student achievement by involving parents in the education of their children. Through the Parent Program, the Family Resource Center offers the resources below for parents to use at no charge. The computer lab has the Odyssey Learning Program available to students enrolled in kindergarten through 8th grade in the following areas: Reading, Math, Spelling, Language Arts, Science, and Social Studies. These packets are used to reinforce and support the Benchmark skills taught in the classroom. Parents may obtain a Student Prescription Sheet from the Family Resource Center to be completed by the child’s teacher and faxed or returned to the center. The staff will prepare individual packets based on teacher recommendation. Reading books are available for upper and lower grade students. Books on the summer reading lists for grades K-12 are available at the Enochs Family Resource Center. Lightspan is a video program that connects to your home television set with reading, math, social studies, science and English programs for grades K-6. Parents who use the center are invited to take part in scheduled meetings, workshops, computer training, adult literacy and the annual Parent Involvement Conferences. Workshops can be scheduled at the child’s school upon request. These programs are ideal for intensive study and skill development. Videos are available in reading, math, science, social studies, English and Parenting. This is a hand-held computer with software in reading, math, social studies, and English. For more information on any of the Center’s resources, contact Enochs Family Resource Center coordinator Sylenia Anderson at 601-960-8945.